OXIGENOA EUSKARARI 6000 METROAN ERE ! SOME OXYGEN FOR THE BASQUE LANGUAGE (EUSKARA) AT 6,000 METRES TOO!! 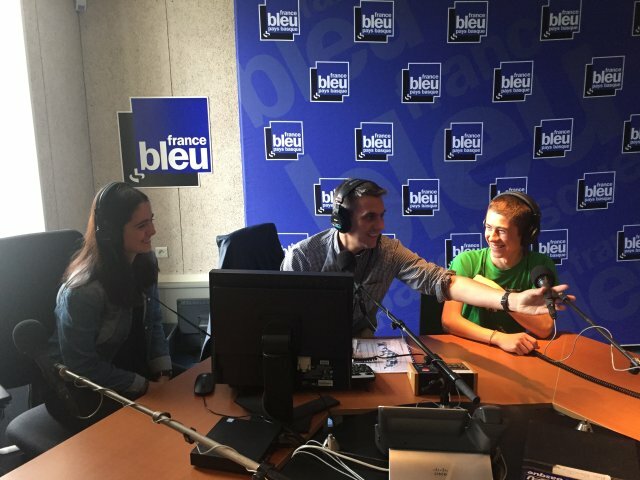 We are young Basques aged from 16 to 18 and we want to speak Basque on the “roof of the world”. We are going to meet a group of 10 Sherpas who also speak a minority language which must be preserved and developed. So we have a common goal: discovery of another culture and sharing a human adventure in culture and sport. Speaking euskara on the roof of the world.....discover our language thousands of kilometres from the Basque country through a 29-day journey on foot on the outskirts of Mount Everest...putting euskara at the heart of our project both at the organisational level and the communication level...meeting young Sherpas who also have a minority language to preserve and value. During the weeks of walking we will establish links and each learner will learn 100 words of the other’s language. 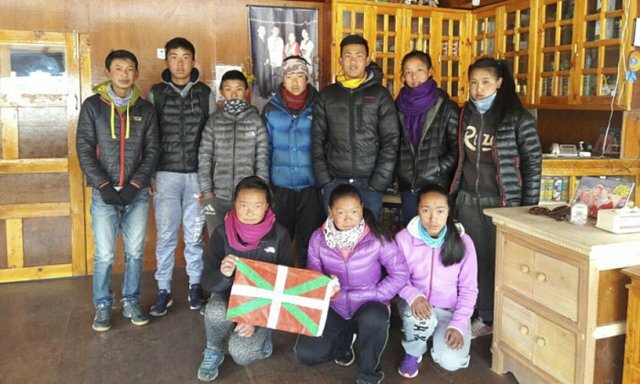 Meeting and exchanging between young people 16-18 years old from all the provinces of the Basque Country and young Sherpas: discover their culture and language.Share a human adventure in culture and sport. Collaboration and solidarity in the conception and realisation of this project. From this expedition we will emerge stronger and more self-reliant. It is the opportunity for us to fight for a project and a cause which we really hold dear to our hearts: the development and dissemination of the Basque language, Euskara. “Oxigenoa euskarari” started in 2010. 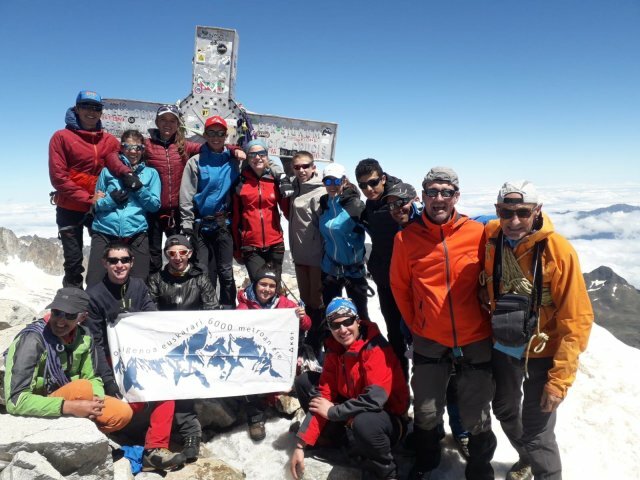 It was created by the initiative of the Basque Commission of the Town Hall of Laudio (Alava province) and the association of high-mountain guides “Mendiak eta Herriak”. 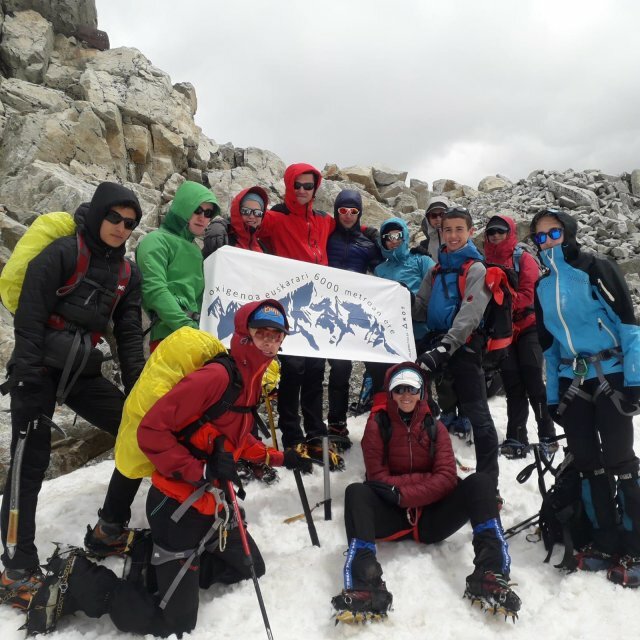 The initial objective was to foster the dissemination and use of Euskara among the young people from the Basque country in connection with the world of mountaineering. Today the project continues and is getting bigger. 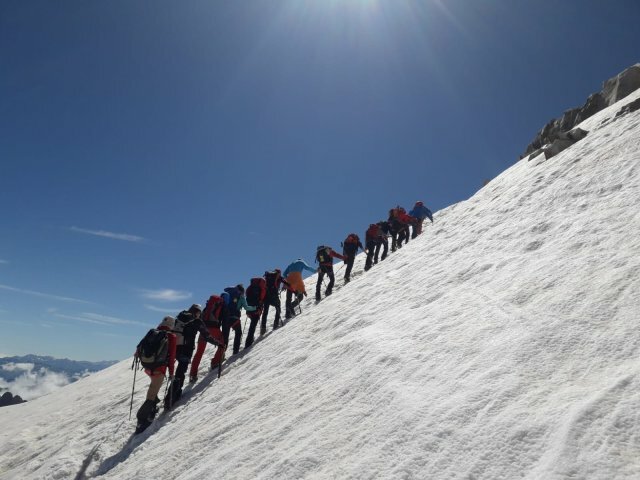 It is now for young mountaineers in the whole of the Basque country. Share our culture, our language and discover other young mountaineers’ culture and language too. 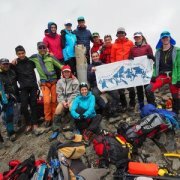 According to the budget we planned, there should be at least a dozen young mountaineers coming from all over the Basque country: Alava, Lower Navarre, Biscay, Guipuzcoa, Labour, Navarre and Soule.. We will join a group of young Sherpas with whom we will share this human adventure in culture and sport. Together we will organise the travelling and we are trying to find financial resources thanks to your help. Besaide Astobiza Sanchez, Maddi Oyhagaray Urmeneta. 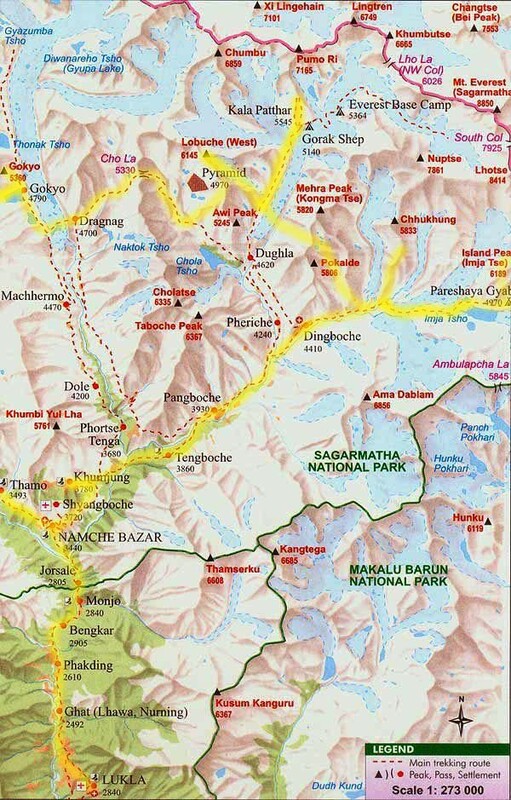 Around Everest, Lhotse, Makalu and Cho Oyu, through the valleys of Imja, Khumbu, Gokyo and Thame. Towards 3 peaks of more than 5,000 metres: the Koumala at 5,500m, the Tso La at 5,420m and the Lenjo La at 5,350m. 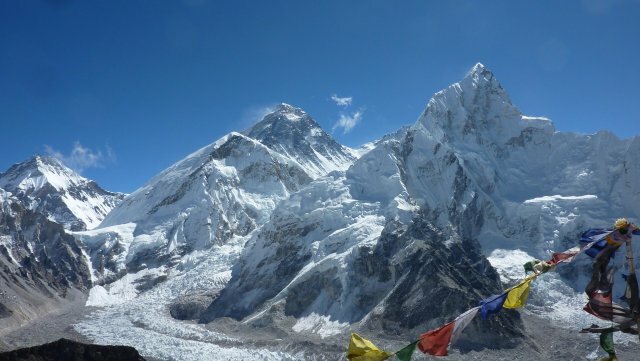 And.... at 6,000m .....on the Island Peak 6,187m and the Lobuje Peak at 6,119m by the East face. The expedition will be followed by Mikel Fernandez, director and cinematographer from Guipuzcoa. 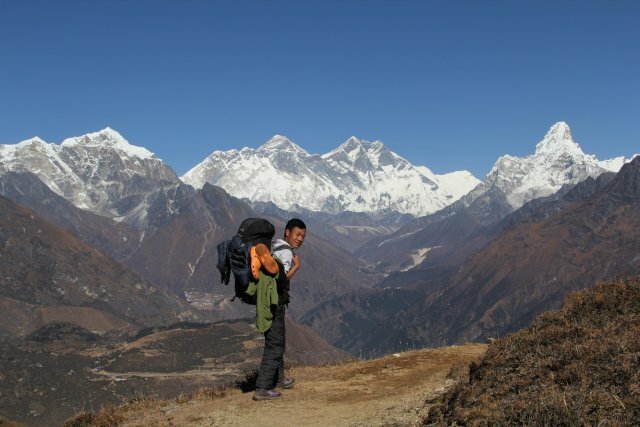 He has already followed young mountaineers during practice trips in preparation for the expedition. When returning he has planned to make a documentary including several themes which will be broadcast on a large scale. On our return we will present our expedition to primary and secondary schools in the Basque country and in town halls in order to share our discoveries and experience. Already some local televisions have interviewed us and little by little we are letting the media know all about our trip. Help us to take part in this adventure. It is also to participate in an action to promote the use and dissemination of Euskara among young generations throughout the world. Thanks to a financial participation, we can have a sufficient budget for such an expedition which is our greatest challenge. The whole expedition, the guides, the director, the cameraman, the logistics (hotel) are already organised. The young Sherpas are awaiting our arrival. Already the association Mebdiak eta Herriak and our families are supporting us and for our part we are going to organise concerts and various activities. We walked for a week in early July in the Pyrenees. Also, we did a circuit climbing up Posets (3,369m) and Aneto (3,404m) the two highest peaks in the Pyrenees. During this week we slept in shelters such as Angel Orus, Estos, Portillon and also La Renclusa. This was a sort of test to adapt ourselves to the weight of the bag, rigid footwear, crampons, ice ax and spending nights in shelters. - A tee-shirt "Oxigenoa euskarari 6000 metroan ere"
- An invitation to the film projection and a meeting with the members of the expedition"